Born out of the military, this is a perfect utility gift for bottled beer lovers! Authentic recycled once fired inert .7.62 NATO /. 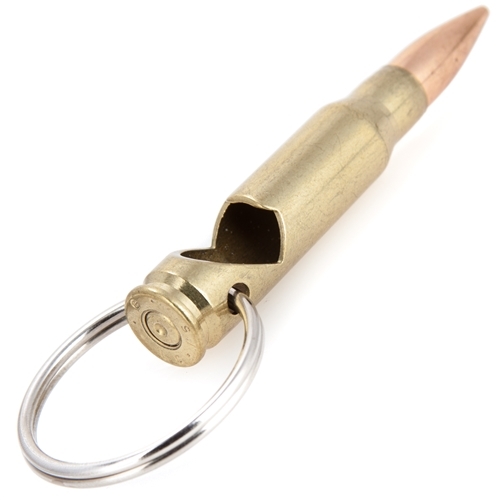 308 Win ammunition brass with a unique cut for lifting any bottle cap. 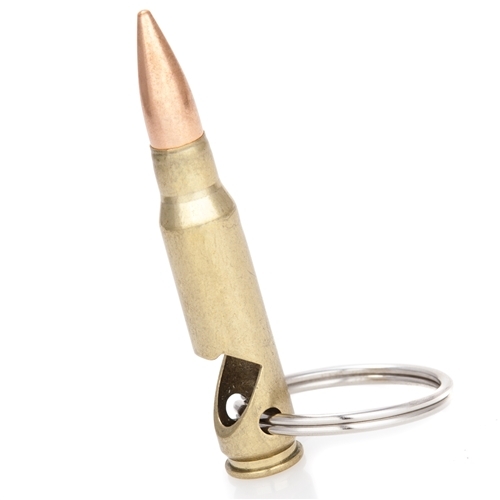 The Lucky Shot 7.62 /.308 NATO Bottle Opener Keychain from 2 Monkey Trading is lacquer coated polished brass. Perfect for Father's Day, Anniversary, Groomsmen, Graduation & Stocking Stuffers! 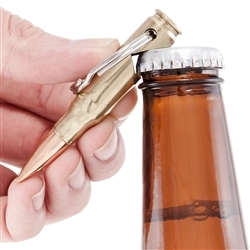 Whether used for decorative display, at special events, or as your everyday bottle opener; Bullet Bottle Openers are sure to impress your friends and get people talking.